The African American Student Union at the Harvard Graduate School of Design is a student organization dedicated to supporting the advancements of African Americans in the areas of architecture, design, real estate, urban design, urban planning, and landscape architecture. Founded in 2012, the group offers a source of unity and strength at the GSD and beyond. It works closely with Dean Mohsen Mostafavi’s Diversity Initiative to foster relationships between students, alumni, future students and the professional fields, building networks to support its members and their communities. In 2015, the AASU held the Black in Design conference, the first of its kind, recognizing the contributions of African descendants to the design fields and broadening our definition of what it means to be a designer. By reclaiming the histories of underrepresented groups in design pedagogy and implicating designers in repairing our broken built environment, the conference looked towards addressing social injustices through design. 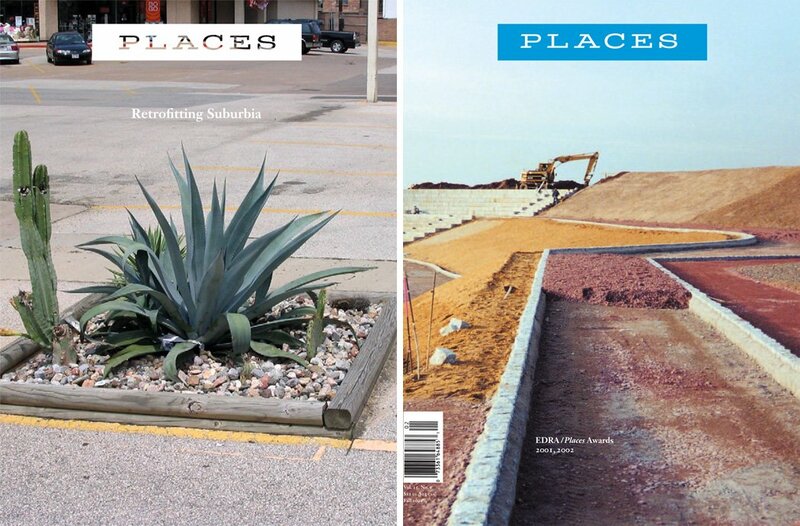 Dedicated to the pursuit of just and equitable spaces across all scales, the program broached these conversations in increasing orders of magnitude: the building, the neighborhood, the city, the region, and the globe. In 2016-17, the AASU is focusing on the role of designers of color in the wider community and leveraging our resources at Harvard University to engage with communities of color both near and far. Blackness takes many forms, like our academic disciplines at the GSD and the ways we envision the impacts that we can make as designers in the struggle for social justice and equity. The factors that unify us are our shared experiences (albeit in different contexts) and how they relate to the built environment. This internal diversity is a strong asset of the organization and is reflected in our reading list for Places. Texts were crowd-sourced from our members, and collectively represent what we believe to be essential to understanding race and diversity in design. Our list covers the systemic oppression of black bodies across historical scales, and contextualizes the structures and practices that have produced the inequities and disenfranchisement that are so salient in our built environments today. By understanding historical oppression and the ways that it informs spatial oppression, designers, planners, and policymakers are better equipped to engage with these problems. Published in 1903, this text is as relevant today as it was then. Used as a driver for developing mobilization strategies for black protests in the early to mid 20th century, it is a collection of essays regarding race dealing with political enfranchisement, access to education, and spatial/environmental justice and equality. Wilkerson describes, in conjunction with analysis and statistical trends, the lives of three individuals as they move from the rural South to the Northeast, Midwest, and West coasts of the United States. Known as the First and Second Great Migrations taking place between 1910 and 1970, this establishes the dichotomy of the rural vs. the urban and its significance in the African American psyche. Written as a letter to his teenage son Coates adopts the voice of James Baldwin and speaks on the ills of injustices against black communities throughout the United States, including over-policing and the poor quality of the built environment within their contexts. Douglas Massey is the Henry G. Bryant Professor of Sociology and Public Affairs and has served on the faculties of the University of Chicago and the University of Pennsylvania. His research focuses on international migration, race and housing, discrimination, education, urban poverty, and Latin America, especially Mexico. In recent years it has become increasingly apparent that the issue of environmental quality is inextricably linked to that of human equality at all scales. This article examines the differing traditions and approaches of environmental justice and sustainability, and explores some of their theoretical bases. The Arsenal of Exclusion & Inclusion examines the policies, practices, and physical artifacts that have been used by planners, policy makers, developers, real estate brokers, community activists, and other urban actors in the United States to restrict or aid access to the spaces of our cities and suburbs. In January 2013, civic leaders, community stakeholders, and residents came together to release Detroit Future City: 2012 Detroit Strategic Framework Plan. This article elaborates on important lessons that other communities might learn from Detroit’s planning initiative in relation to these strategies. It concludes with a brief summary of the results and implications of the civic engagement process. Social impact design—one term that refers to the practice of design for the public good, especially in disadvantaged communities—has attracted powerful interest in recent years. Increasingly, both practicing designers and students are seeking opportunities in this burgeoning discipline. But are the professional and academic structures in place to support them? And how might such structures be improved?